We treat everyone like family and make them feel as comfortable as possible while easing any apprehensions or concerns they may have. I had my first experience with chiropractic in 1995. Severe neck pain left me unable to turn my head, and a friend urged me to see a chiropractor. I made an appointment with Dr. Rick at our local chiropractic office. The results were incredible. Within a couple of visits, my neck pain was gone! I was so intrigued by my body’s response to chiropractic care that I sought out more information. Over lunch, Dr. Rick explained to me how the body can heal itself naturally. The more I heard about chiropractic, the more excited I felt about it. I already had extensive training as a massage therapist, and chiropractic seemed like a natural progression for my skills and interest. That’s when I decided to become a chiropractor. Dr. Schiller began his pre-chiropractic education at Monroe County Community College and Eastern Michigan University. There, he studied basic sciences, such as inorganic and organic chemistry, biology, physiology and anatomy. Dr. Schiller started at Parker College of Chiropractic in Dallas, Texas in January of 1998. This course of study consisted of three years and over 5000 hours of schooling with a major emphasis in anatomy and human physiology, X-ray diagnosis and different chiropractic techniques. In addition to the course work, Dr. Schiller spent 15 months in student and public clinic where he applied what he’d learned from his science and techniques courses. 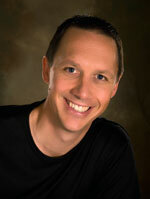 Dr. Schiller graduated in 2001 with a Bachelor of Anatomy and a Doctor of Chiropractic. Michigan has always been home for Dr. Schiller, so upon graduation it felt natural to return to the Great Lakes State. 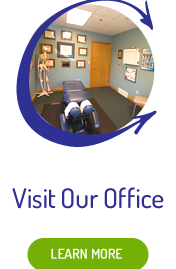 He moved his family to Traverse City and opened his new practice on May 14, 2001. Dr. Schiller is married to Mary and together, they have three sons; Daklen, Daschal and Gentry. Family is his primary focus and recreation these days for Dr. Schiller mostly involves chasing, playing with and caring for his three young sons. He and his family also enjoy skiing, scuba diving and many other outdoor sports. We look forward to meeting you and learning how we can be of service to you. 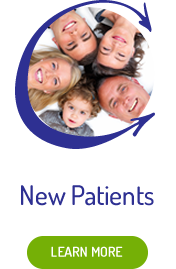 Please contact our office or email us with any questions you may have about taking your first step toward better health!